He's a man made beast! 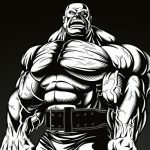 During the 2019 Arnold Classic Australia over the weekend, many impressive lifts were recorded. Now, this was the eleventh Pro Raw Powerlifting champion competition and Dylan Hellriegal wanted everyone to remember his incredible performance but he did more than that by becoming the first man to ever squat 1,000 lbs and deadlift 900 lbs in the same raw powerlifting meet. Hellriegel competes in the 125kg+ weight class and made history from his two lifts. 455kg/1003lb. Pretty damn happy with this squat, I wasn't going to miss it with @schwarzenegger 3ft from the platform. 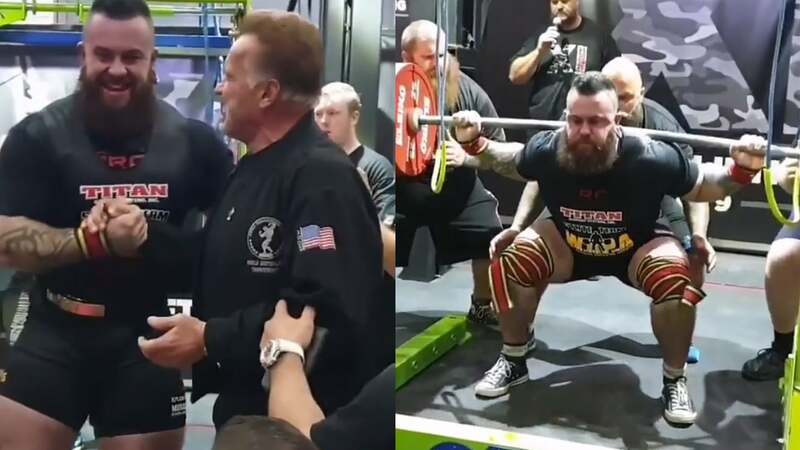 You could say Hellriegel was thrilled about his lift, especially since Arnold Schwarzenegger was a very close spectator during his squat, “Pretty damn happy with this squat, I wasn’t going to miss it with @schwarzenegger 3ft from the platform”. “This sealed the deal to become the first ever to squat 1000 and deadlift 900 in the same meet”, he wrote in his Instagram video. Now, the impressive history-making accolades didn’t end with only the squat and deadlift but Hellriegal also benched an impressive 240kg/549lbs to give him an overall total of 1105kg/2436lb for the competition which makes this the highest total in Junior powerlifting competition. It’s also the ninth highest total of all time! So, a big congratulations to Dylan Hellriegal for his record-breaking performance! His lifts were more than impressive but to do it in front of the legend Arnold Schwarzenegger is one heck of a feat to be proud of.